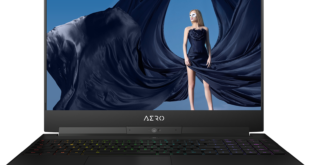 Eye-tracking tech firm Tobii has teamed up with MSI to work on a concept gaming notebook – and the pair are inviting developers to create the next eye-tracking game. The firms will be working on other eye-tracking gaming products following the concept device, which boasts eye-tracking tech built-in, and is being shown off at the Computex 2015 trade show in Taiwan this week. The pair said in a press release that eye-tracking is poised to alter the gaming landscape over the next several years, "ushering in a new era of deeper game immersion where the bandwidth between gamer and game is increased and experiences become more realistic". Tobii has identified four key applications in games that will change the way gamers interact and enjoy their games: Infinite Screen (as seen in Assassin’s Creed Rogue), Multidimensional Movement, Response to Eye-Contact and Immersive Graphics and Sound. Read more about them in the Tobii EyeX Blog. The concept notebook is the first of other expected joint projects over the coming months. 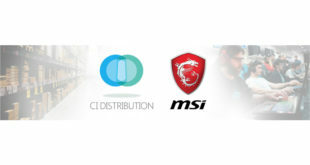 The partnership also encourages other OEMs, suppliers and game developers to get involved and contribute to the expansion of the eye-tracking ecosystem. Tobii and MSI invite those interested in creating the next eye-tracking game to get their Tobii EyeX Dev Kit at tobii.com/EyeX. “This concept notebook is only the beginning of our extensive partnership with Tobii – a partnership that will expand beyond hardware products and into the development of eye-tracking content and games,” said Eric Kuo, VP of MSI. Oscar Werner, president of Tobii Tech, added: “Our partnership with MSI, following the announcements of the SteelSeries Sentry, Assassin’s Creed Rogue and theHunter: Primal, shows the power of eye-tracking and the strong trajectory it has in gaming. Check out PCR’s ‘eyes-on’ review of the Tobii Tech.